This Houston General Health Insurance Company review explores Houston General Insurance Exchange Company, a wholly-owned subsidiary of Canton, Massachusetts-based OneBeacon Insurance Group, Ltd. Houston General, along with OneBeacon, offers a variety of different insurance products and services, including specialty, medical malpractice, property & casualty, umbrella, professional, and general liability policies. The company shouldn’t be confused with Houston General Insurance Agency of Lexington, Kentucky. Approximately 49% of the company’s revenues are generated from specialty medical insurance policies. About 24% of the company’s insurance lines are in runoff status. Runoff status allows the company to manage existing written insurance obligations without underwriting any new client risk. If you’re interested in health insurance rates, compare your existing health insurance with competitive health insurance quotes now—just supply your zip code to get started! Then, continue to learn more about Houston General Health Insurance Exchange Company and parent company, OneBeacon to determine if the company’s health insurance offerings are a good fit for your needs. Health and accident insurance provider, White Mountains Insurance, owns a control stake (76% as of year-end 2010) in Houston General’s parent company, OneBeacon. White Mountains Insurance is a publicly owned company and trades on the New York Stock Exchange and the Bermuda Stock Exchange (Symbol: WTM). The company is headquartered in Hamilton, Bermuda, and maintains service offices in the Northeast Vermont/New Hampshire White Mountains. White Mountains Insurance reported $3.57 billion in annual sales during fiscal year 2010. The company generated annual net income of $214.4 million during the period. The Houston General Insurance Exchange started business as a property & casualty insurance company in 2005. Houston General, despite its name, began marketing insurance solutions to customers in Arizona. The company provided an expanded market for Northeast-based OneBeacon that year. Houston General Insurance Exchange’s independent brand was gradually exchanged to the OneBeacon brand between 2005 and the current date. 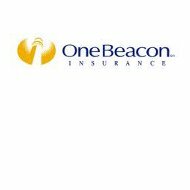 Through OneBeacon, clients of the company insure cars, boats, homes, and valuables through OneChoice Homeowner, OneChoice Auto, or other OneBeacon products and services. White Mountains reports total assets of about $14.5 billion at year-end 2010. The company has an (adjusted) book value per share of approximately $441 and shareholder equity of approximately $3.6 billion. The company maintains a proprietary work force and uses a network of approximately 3,400 independent insurance brokers and agents throughout the United States. Compare your Houston General Health Insurance quotes with the company’s direct marketing arm and an independent insurance agent to make sure you’re getting the best price for health insurance coverage. OneBeacon, Houston General’s parent company, was originally founded in 1831 as a company named Potomac Fire Insurance Company. OneBeacon grew through the years by acquisition, and purchased companies like Houston General to acquire new customers across the United States. OneBeacon provides a variety of marine, travel, data privacy, tuition refund, and property & casualty insurance, along with health insurance plans through White Mountains Insurance. The company was formerly owned by international insurer, Aviva, and was purchased by White Mountains Insurance in 2001 for about $2.6 billion. Warren Buffett’s Berkshire Hathaway provided the financial backing for White Mountains’ acquisition of the control stake in OneBeacon. In 2006, White Mountains sold its OneBeacon shares in a public offering but maintains a 75% control interest. OneBeacon is a specialty insurer that takes advantage of managing special risk for clients at favorable premium rates. In 2008, the company announced a partnership with Hagerty Insurance (offering collector insurance policies on antique boats and cars). The company purchased Entertainment Brokers International (EBI), a specialty liability underwriter. In 2009, OneBeacon created OneBeacon Energy to offer specialized liability coverage to the oil & gas industry. In 2010, the company elected to write excess and surplus policies. The company sold its non-specialty insurance lines to Hanover Insurance Group, for which Hanover paid approximately $23 million and 10% of forward premiums. By 2010, OneBeacon sold the traditional personal insurance lines business to the Tower Group for about $167 million. For these reasons, health insurance customers seeking specialty coverage of risk seek out OneBeacon. In 2011, the company sells insurance in 50 states and Washington, D.C.
No matter what your health insurance needs—compare your current health insurance rates with competitive quotes by typing your zip code on this page!